After the Central Valley Hmong Agriculture radio show last week, the phones at the UC Cooperative Extension office in Fresno County were buzzing non-stop with farmers anxious to apply for state grants to improve irrigation systems and energy efficiency. Michael Yang, UCCE Hmong agricultural assistant, has hosted the one-hour show each Tuesday afternoon on KBIF 900 AM for 19 years. The grants allowed the farmers to make improvements in energy efficiency and water savings, Dahlquist-Willard said. “This can make a huge difference for the profitability of a small farm,” she said. The application requires energy bills from the previous growing season, a pump test and a plan for redesigning the irrigation system to result in reduced water use and reduced greenhouse gas emissions. 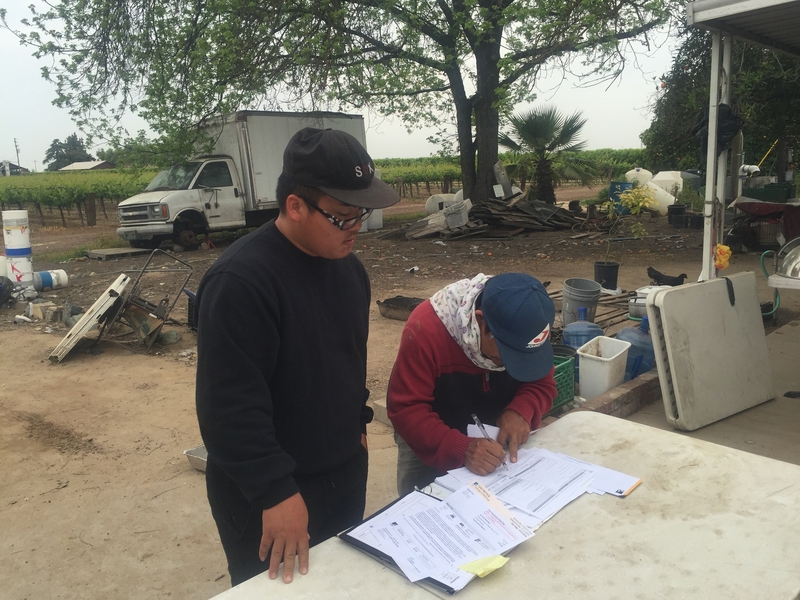 While assisting farmers with applications for other programs is not usually part of UCCE's extension efforts, the small farms program in Fresno County has identified this form of assistance as crucial to the success of small-scale and minority-operated farms. 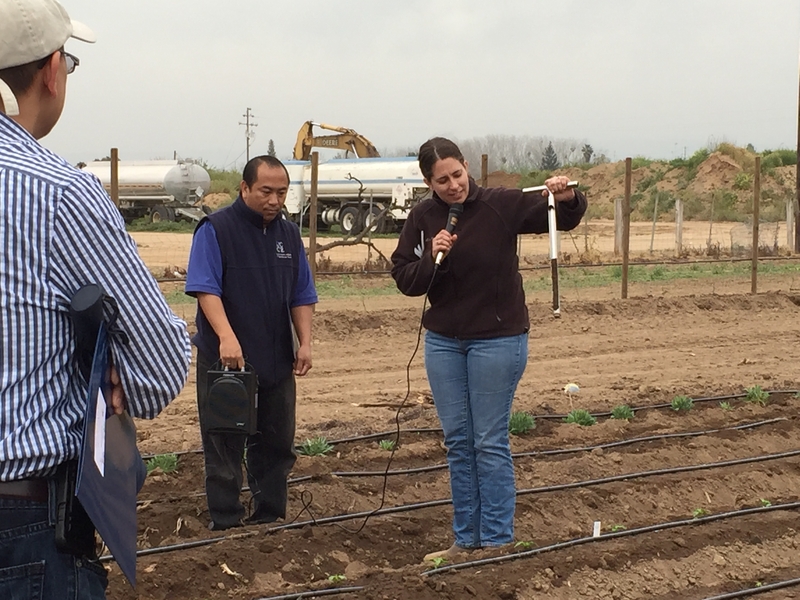 Help with the State Water Efficiency and Enhancement Program (SWEEP) grants is one in a series of outreach efforts for Hmong farmers spearheaded by Dahlquist-Willard since she was hired in 2014 to work with small-scale farmers in Fresno and Tulare counties. After just two weeks on the job, she was invited to an emergency meeting with the National Hmong American Farmers and USDA's Farm Service Agency to address the challenges faced by Hmong farmers as groundwater levels continued to drop during the drought. Dahlquist-Willard and her staff began researching programs that could offer the farmers financial assistance. They identified a free PG&E rate analysis, which could help the farmers choose the best electric rate for their irrigation practices to minimize charges. They searched for financing to deepen wells for farmers who had difficulty qualifying for existing USDA loans. And in 2015, they began helping farmers with applications for the State Water Efficiency and Enhancement Program. The dire circumstances also prompted Dahlquist-Willard to commission a survey of Hmong farmers to see how they were impacted by the drought. Documenting their plight would be useful in seeking support. The survey was conducted in conjunction with outreach efforts with Fresno Regional Workforce Investment Board and Jennifer Sowerwine, UCCE Cooperative Extension specialist in the Department of Environmental Science, Policy and Management at UC Berkeley. The survey was funded with a grant from the USDA Office of Advocacy and Outreach and with support from UC Agriculture and Natural Resources via Sowerwine. Sixty-eight farmers were interviewed by phone or in-person. Twenty-two percent said their wells had dried up, and 51 percent reported a decreased water flow. To deal with irrigation water limitations, some farmers told interviewers they reduced acreage or changed the time of day they irrigate. Some stopped farming all together. “One farmer told us he was irrigating his crops with his domestic well,” Dahlquist-Willard said. Energy efficiency programs turned out to be very important for this population of farmers. Eighty-seven percent said their utility bills increased during the drought. As a result, UCCE has been promoting PG&E programs for energy efficiency as well as the SWEEP program. The survey also showed the power of radio in reaching the Hmong farming community. Eighty percent of the survey respondents said they were regular listeners to Michael Yang's Central Valley Hmong Agriculture radio show. Xia Chang works with a Hmong farmer on making changes to energy billing. Xia (pronounced “sigh”) Chang, 26, was hired in 2015 to use his Hmong language skills in collecting survey responses for UCCE. Chang was born in Thailand, and immigrated with his family to the U.S. four years later. His father cultivates Southeast Asian vegetables along with a second job at Red Lobster. Many of the nine children in the family help out on the farm. Chang attended college, but his financial aid was depleted before he earned a degree. In addition to part time work with UCCE, Chang is now farming. “Last year we expanded our farm from 4 acres to 14 acres, with a new three-year lease,” Chang said. The family's many technical agricultural questions led to Chang's frequent visits to the Cooperative Extension office, and ultimately to his being hired to help conduct the Hmong farmer survey. He said he's also learning a lot about new farming techniques that he wants to apply on the family farm. However, there are obstacles. Chang is now looking into a career in plant sciences. He is working with Dahlquist-Willard and Kent Daane, UC Cooperative Extension biological control specialist based at the UC Kearney Agricultural Research and Extension Center in Parlier, testing integrated pest management techniques in Southeast Asian vegetable crop production. In time, Chang plans to return to Fresno State to complete a degree in agriculture.